With a stay at Hampton Inn Petersburg / Hopewell / Fort Lee in Hopewell, you'll be a 5-minute drive from Fort Lee and 6 minutes from Petersburg National Battlefield Park. 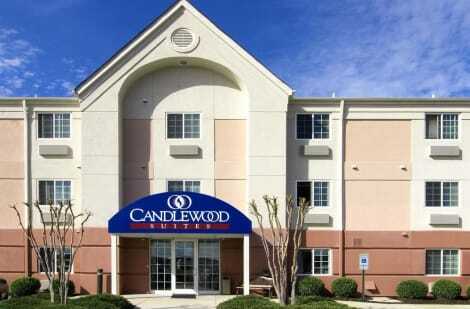 This hotel is 2.4 mi (3.8 km) from U.S. Army Quartermaster Museum and 2.4 mi (3.9 km) from U.S. Army Women's Museum. Make yourself at home in one of the 60 air-conditioned rooms featuring refrigerators and microwaves. Flat-screen televisions with cable programming provide entertainment, while complimentary wireless Internet access keeps you connected. Bathrooms have complimentary toiletries and hair dryers. Conveniences include phones, as well as desks and coffee/tea makers. Start your morning with a complimentary deluxe continental breakfast and a great workout in our fitness center. Take an evening stroll to several restaurants within walking distance. If you're a NASCAR fan, we're just 30 minutes from Richmond International Raceway. Or, if family fun and historical sites bring you to the area, you'll find Paramount Kings Dominion and Busch Gardens Williamsburg within an hour's drive from our hotel near Richmond and conveniently located off of I-295. We're surrounded by two beautiful rivers and several Civil War historic landmarks. 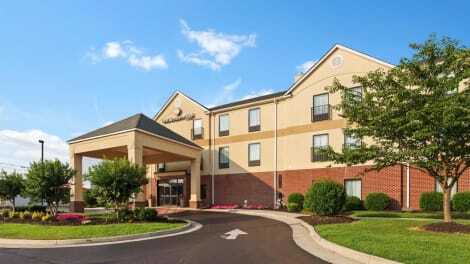 At Fairfield Inn & Suites Hopewell, our friendly staff looks forward to your visit.